Focusing on one key message and getting doctors to share their experiences were vital ingredients in a campaign by NHS Digital which has succeeded in getting 150 acute hospital trusts to use a new online booking system for patient referrals. The #JusteReferrals campaign was launched in February last year and ran until October. 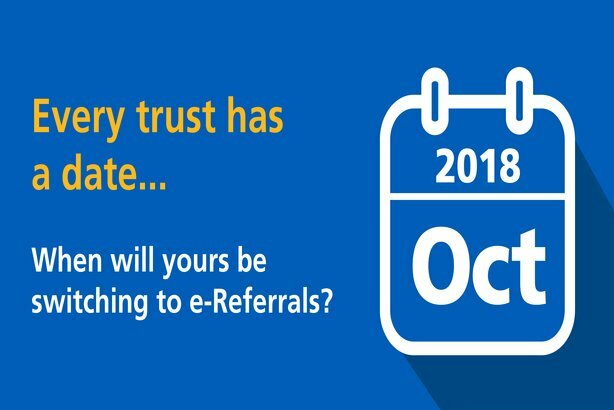 It was intended to raise awareness of a NHS target for all GP practices and acute hospital trusts to switch to using the NHS e-Referral Service for all consultant-led first outpatient appointments by 1 October 2018. Other aims of the campaign included raising awareness of how to get help and support in meeting the target, share best practice, and improve understanding of the benefits of using the new system. What are the three main ways e-referrals help patients referred to hospital? Check out this #thread of videos from @EastLondonHCP as doctors explain the way e-referrals work. The new system allows patients to book appointments online and has been shown to reduce the number of people who fail to attend their appointment, by enabling them to choose the most convenient time and place, according to the NHS. We're getting closer to our roll out of #JusteReferrals across 100% of hospital trusts in England. The #NHS e-Referral Service will deliver big benefits for patients, GPs and consultants as these @EastLondonHCP doctors explain. The campaign was aimed at acute hospital trusts, clinical commissioning groups, clinical information officers, GPs and practice staff. An integrated approach was taken, using a variety of comms channels. These ranged from face-to-face meetings and briefings, e-bulletins, media and online platforms. Doctors and other healthcare professionals were used to promote the benefits of the system. The Referral Assessment Service puts decision making power in the hands of consultants. 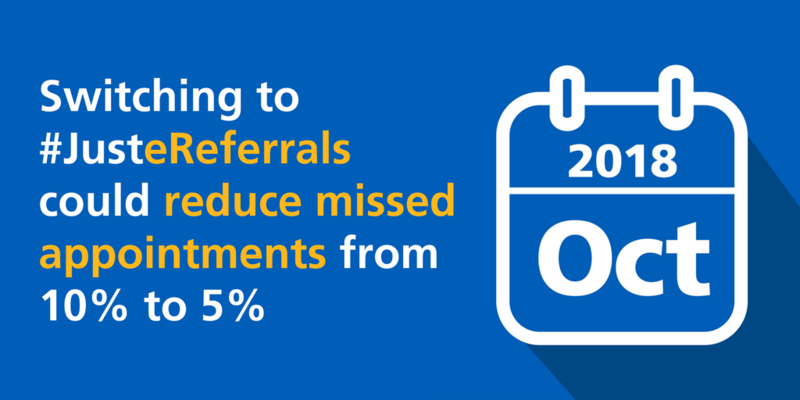 Watch these doctors explain how this can reduce unnecessary referrals and speed up the process if a referral is needed. A consistent visual style was used across all channels, with #JusteReferrals used across social media. The campaign generated 85 articles in national and local media, 94 per cent of which had a positive or neutral tone. In addition, there were 659,006 social-media impressions, 86 per cent of which were positive or neutral. The campaign also resulted in 92 per cent of the target audiences being aware of the national target, a rise of 22 per cent from before the campaign began. In addition, 79 per cent of people say they now have a better understanding of the benefits of using the new system than they did six months ago. The campaign’s impact went beyond expectations, with the national target met one month early. Rachel Royall, NHS digital director of comms, told PRWeek: "The campaign was integrated – using expertise from across our press, social media, content, network communications and insight functions." She added: "It was a joy, as ever, working with the NHS Comms pros in the Acute Trusts. This team approach got real results for the business, helping them roll out the changes ahead of schedule. A huge thank you to all involved." The campaign has been singled out for praise by the Government Communications Service. 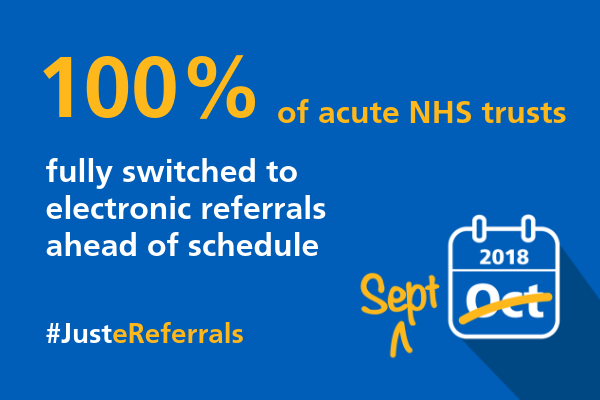 In a tweet yesterday Alex Aiken, executive director, GCS, said: "Congratulations to NHSDigital for winning Campaign of the Month for #JusteReferrals campaign, to raise awareness of national NHS target requiring all GP practices and acute hospital trusts to use the NHS e-Referral Service."